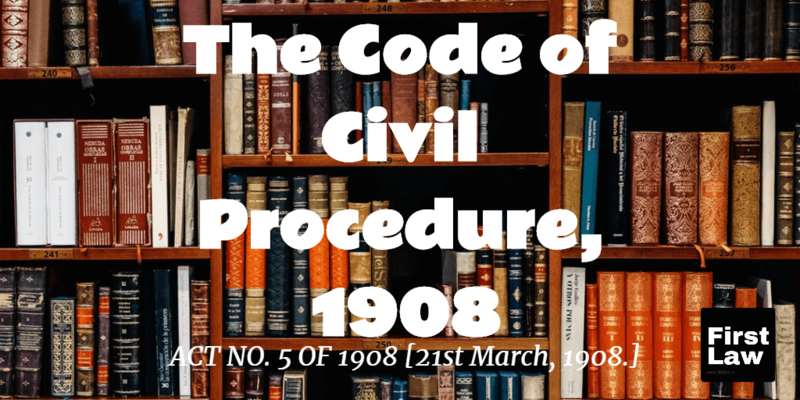 Sections 51 to 54 of C.P.C talk about procedure in execution or mode for execution. Section 51 says executing court shall execute decree by delivering of any property by attachment. 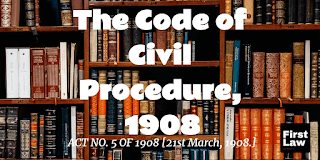 Statutory provisions of Order 21 C.P.C lay down a complete code for resolving all disputes pertaining to execution of the decree for possession obtained by a decree-holder. Section 47 read with Order 21 rule 101 of C.P.C says that all the questions relating title are to be decided by executing court. In terms of order 21 rule 13 of C.P.C when an attachment of property is made, it should contain sufficient description of property to be attached by boundaries, numbers in record of settlement or survey. In terms of order 21 rule 35 of C.P.C, where decree is for delivery of immoveable property, the possession is to be delivered to decree holder by removing any person bound by decree; where a decree is for delivery of immoveable property if such property, is in the possession of any person bound by the decree, such person may be called upon to vacate the property in order that possession may be delivered to the person to whom it has been adjudged, or his agent; and if he refuses to do so he may be removed from the property in order to effect such delivery of possession. In terms of order 21 rule 58 whenever any objections is made to the attachment of any property in execution decree on the ground that such property is not liable to be attached, the executing court shall decide the same. As per this rule, where the court consider that claims or objections have designed to delay unnecessarily, court will not entertain the same. Upon determination of said objections so raised, shall be conclusive. Ashok Singh. Vs. Veena Gupta. For respondent(s) : Mr. Amit Gupta, Advocate. 1. This civil revision has been filed against the order dated 31.07.2018 passed by court below in execution petition, whereby applications filed by the petitioner in the execution petition have been dismissed. 2. The factual backdrop of the case in hand is that the respondent-Veena Devi, preferred a suit in the Court of Munsiff Jammu for possession of the land measuring 01 Kanal comprising Khasra No.522-min, Khewat No.13, Khata No.287 situated at Village Sunjwan, Tehsil and District Jammu and for mandatory injunction directing the petitioner-Ashok Singh to remove the construction so raised over the said land on the ground that the husband of the respondent namely Sh. Brij Mohan Gupta has purchased the said land, (hereinafter referred to as the suit land) of which the mutation has been attested in favour of her husband and the petitioner has raised construction over the same and based her claim on the basis of the report of the concerned Revenue Agency. 3. Notice was issued for appearance to the petitioner/defendant for appearance on 9th of December, 2013 and on 9th December, 2013 the Court below directed to issue fresh summons against the petitioner herein to procure his attendance and the next date was fixed for 3rd January, 2014 and afterwards on 16th January, 2014 the Court below marked the absence of the petitioner and fixed the date for 10th February, 2014. On the next date i.e. 12th March, 2014 the statement of the Process Server was recorded by the Court below for service which was affected for 9th December, 2013 on petitioner and the ex-parte proceedings were initiated and ultimately the ex-parte proceedings culminated into a decree passed by the learned court below on 31st May, 2014. 4. After passing of the ex-parte decree the execution petition was preferred by the respondent and the Court issued notice to the petitioner. The petitioner preferred application for setting aside the ex-parte decree which came to be dismissed in default of the appearance of the petitioner as the application was fixed for 10th January 2016 which was a Gazetted Holiday and the file was taken up on 11th January, 2016 and the same was dismissed for want of prosecution illegally in view of the fact that the case was taken up on the next day after holiday. In the execution petition the petitioner took the plea that the decree is declaratory in nature and cannot be allowed to sustain and being ambiguous decree as the suit land has not been identified in the decree. It was also submitted in the objections to the execution application that the land comprising Khasra No.522-min, Khewat No.13, Khata No.266-min measuring 19 Marlas has been purchased by the petitioner vide Sale Deed dated 8th October, 2002 registered with the court of learned Registrar Muffasil, Jammu on the same date and the petitioner is in peaceful possession of the same where the petitioner has raised construction after taking loan and the mutation has also been attested in favour of the petitioner being Mutation No.3461. 5. The Court below in order to ascertain the truth to identify the land appointed the Commissioner and the Commissioner on surmises and conjectures demarcated the land of the petitioner and that of the respondent and the Court issued warrant of attachment against the petitioner vide order dated 23rd November, 2017. The petitioner filed application for recalling the order of attachment dated 23rd November, 2017 before the Court below taking the plea that the decree itself is not executable and the demarcation was not conducted properly by the officials of the Revenue agency as the land bearing Khasra No.522 is a big chunk of land and cannot be said that the land is belonging to the decree holder-respondent, and the possession is to be given to her. It was also averred that the Trial court failed to consider the fact that since 2002 after purchasing the land the construction was raised by the petitioner and the respondent preferred the suit before the Court below on 26th October, 2013 and this clearly shows that the respondent was not aware of her piece of land that where it is located and keeping mum for such a considerable period amounts to waiving of her rights. It is further submitted that the judgment and decree was unsustainable. Moreover, it was also brought to the notice of the Court below that proper Nishandehi is to be taken into consideration but the same has not been done and an illegality has been committed by the concerned Revenue officials for demarcating the suit land which cannot be allowed to sustain so that the party may not be made to suffer. 6. In the application the petitioner also took a ground with regard to the execution of the decree that the decree is in-executable and the executing court has to consider the same. This aspect can be considered by framing of issue and after leading evidence. 7. Petitioner submits that along with the said application for recalling the order dated 23-11-2017 passed in the execution application, the petitioner also preferred application for restoration of the application under Order IX Rule 13 C.P.C. and Court after inviting the objections and hearing the arguments, dismissed the same vide order dated 31st July, 2018: and the petitioner is seeking setting aside of the order impugned only to the extent recalling of the attachment order. In addition to it, the averment is made that the land was belonging to the ‘Custodian Department and the seller from whom the petitioner and the respondent as well, have purchased the land was vested with the alienable rights (occupying rights) under Section 3(A) of the Agrarian Reforms Act and only the Custodian Evacuee Property was having jurisdiction but the Court below failed to discuss the said point while returning the findings. So far as the Nishandehi is concerned the court below was required to ascertain that how the demarcation is to be conducted as the land under Khasra No.522 is a big chunk of land and the procedure has been laid down for demarcation which was not adopted by the Revenue agency while submitting the report, as such the findings to this fact are perverse and cannot be allowed to sustain. Further, it is submitted that with regard to maintainability of the execution petition was raised to which no findings have been returned rendering the order impugned unsustainable. 8. I have considered the rival contentions of the parties. 9. Petitioner has placed reliance on a case tiled M/s Century Textiles Industries Ltd. vs. Deepak Jain & anr. reported in 2009 (2) CCC 780 decided by the Apex Court and case titled Abdulrahiman vs. Parameshwarai Amma reported in 1998(3) CivCC 445 decided by the Kerala High Court, wherein it has been held that executing court cannot go behind decree; case titled Ravinder Kumar vs. Jaswant Singh and other reported in 1990 CCC 397 decided by the Punjab and Haryana High Court, wherein it is held that objections raised has to be decided after framing of issue; case titled Braham Datt vs. Prem Chand and other reported in 2000 AIHC 1166, wherein in second appeal, it has been held that it is duty of court to deliver substantial justice, and mistake of govt. agency in demarcation land part should not suffer; case titled Krishan Singh alias Kishan Singh vs. Balram Singh reported in 2011(2) R.C.R. (Civil) 219, wherein in appeal, additional evidence in term of order 41 rule 27 was produced and court held that demarcation report has no value if notice was not give; case titled Shri Rattan Chand Son of Lachho Ram vs. Pushpa Devi widow of Shri Balwant Singh and other reported 2014 (85) R.C.R. (Civil) 94, wherein it has been held that demarcation report prepared on Aks Musabi has no value; case titled Kattula Kanaka Veeraiah vs. Basava Hari Sankara Rao, reported in 2018 (1) CivCC 105 decided by the Telangana and Andhra Pradesh High Court, wherein the revision petition was allowed; case titled Sabbir Ahmad and others vs. Additional District Judge and others reported in 2011 (3) CCC 125, wherein it has been held that trial court committed error in decreeing suit due to non filing of written statement; case titled Awadhesh Singh vs. IInd Addl. District Judge, Deoria and ors. reported in 1997 (1) CivCC 44 decided by the Allahabad High Court, wherein it is held that decree for foreclosure cannot be executed without preliminary decree and court can undo any injustice without being restricted by any procedural technicalities. 10. Learned counsel for the respondent in rebuttal has supported the order of court below and has stated that petitioner has already filed an appeal against the order of court below thereby dismissing his application for setting aside ex-parte decree, where he has failed to get stay of execution. Now he has filed present revision on same grounds which he already took and same were disallowed by trial court by way of order dated 19.05.2017. 11. I have given my thoughtful consideration to whole aspects of the matter. 12. From bare perusal of facts/orders of the case, it is evident that respondent, who is now more than 80 years old obtained an ex-parte decree on 31.05.2014 for possession of vacant land comprising I kanal under Khasra No.522 min Khewat No.13 and Khata no.287 situated at Sunjawan, Jammu with decree of mandatory injunction thereby directing the defendant/ petitioner herein to remove illegal construction raised by him over the said land. An execution petition came to be filed before court below by respondent, and on 23.11.2017 attachment order of property/house constructed on land came to be passed by court below; petitioner herein filed two applications, one for setting aside ex-parte decree and another for recalling of order of attachment. Petitioner in application for recalling attachment order took stand that attachment order has been passed relying upon report of Commissioner, Tehsildar Bahu, Naib Tehsildar, Rakh Bahu and the Girdawar concerned. The said Nishandehi was conducted in his absence as he was not summoned to participate in the Nishandehi and if the nishandehi would have been conducted in presence of the petitioner/judgment-debtor, the true facts would have been merged. 13. It was further stated that suit house has been constructed on the land measuring 19 marlas comprising khasra no.522 belonging to him which was purchased by him through valid Sale Deed dated 8th October, 2002 registered by the Court of Sub Registrar, Muffasil, Jammu. That decree-holder is having land in the same khasra number but her Sale Deed and Fard Intikhab clearly depicts that land is in the same khasra no. 522. It was further stated that the Commissioner has submitted that the same plot seems to be measuring 19 marlas has been shown to be purchased by petitioner/judgment-debtor and the mutation no. 3443 has also been attested in Khasra no.522, which is a big Chunk of land. That Court below also failed to take note of the fact that the same Commissioner has already submitted the report at the instance of the court order dated 9.8.2017 which is clear and specifies the demarcation which has been done in presence of both the parties who were summoned by the concerned Commissioner i.e. Tehsildar Bahu. Thus on the basis of the two reports submitted by the same Commissioner, this court could not have ignored this fact without citing any reason done with the demarcation report which is ex-parte filed by the Commissioner, Tehsildar. As such the order passed by this court dated 23.11.2017 was unwarranted and requires to be called. “9. Heard and perused the record as well as case laws given by both sides interpretating the relevant provisions touching the controversy. At the very outset, it is to be cleared that this court is conscious of the fact that petitioner/judgment-debtor by filing present petition seeking recalling of attachment order, once again tries to object the execution of decree by raising all possible defences which are available to him under law which were not earlier taken by him at the time of filing objections to the execution petition which was decided on merits by this court vide its order dt. 19-5-2017 but still this court will address all these grounds in order to advance administration of justice. The present application is filed on various counts, first among which is that executing court can't verify or modify it and also can't go beyond the decree. However, if the decree is ambiguous the court has to look into the decree and in present case, the judgment and decree drawn is not within the ambit of Order 20 C.P.C. I have gone through the judgment and decree and in no sense same is found to be ambiguous whereby defendant therein/petitioner herein was directed to remove the illegal construction of house over land measuring 1 kanal comprising khasra no. 522 min, Khewat no. 13 and khata no. 287 situated at Sunjwan Jammu. Deed of decree-holder having Aks Tatima. It is quite surprising that petitioner/judgment debtor is putting question mark on the description of land of decree-holder who is laying as per claim through registered Sale Deed that too having Aks Tatima. On the contrary, the sale Deed on which judgment-debtor is laying claim is having dasti-khakha which is not at all extract of Latha Massavi and so the identification of land of petitioner/judgment/ 0c debtor is not known who illegally constructed his residentia1 house over the land of decree-holder. Merely because that he raised loan for construction of said house and i5 infact residing there for last so many years doesn't give him leverage to take away the rights of decree-holder over suit land who got the decree of vacant possession of suit land and the point of pecuniary jurisdiction, if any, stand decided by this court earlier vide its order dt. 19-5-2017 in the objections filed by judgment-debtor t0 the execution petition and same is now binding on petitioner/judgment-debtor because same remain unchallenged and so this issue can't raised here once again. 11. The second objection pertains to demarcation report conducted by Commissioner, Tehsildar Bahu, Naib Tehsildar, Rakh Bahu and Girdwar concerned which according to petitioner/judgment-debtor is conducted in his absence and thus can't be relied upon by this court by placing reliance on “2014 (48) RCR (Civil) 88” and “ 011 (2) RCR (Civil) 219” whereby it is held that notice of demarcation if not given to party goes to root of case but I think this ground is having no force, firstly because the order dated 12-9-2017 was passed in presence of both the parties and their respective counsels and judgment debtor/petitioner was having full knowledge of demarcation of the suit land and his absence, if any, during demarcation by the Commissioner again point towards his negligence of dilatory tactics and nothing else. Moreover keeping in View the fact that the house of the Judgment -debtor is constructed on the suit land, it is quite impossible that when demarcation team reached there then he was not present there or was not having knowledge of the same. And if he himself despite knowledge does not choose to remain present during demarcation then it is nothing but a dilatory tact‟s to halt the matter. 15. Sections 51 to 54 of C.P.C talk about procedure in execution or mode for execution. Section 51 says executing court shall execute decree by delivering of any property by attachment. Statutory provisions of Order 21 C.P.C lay down a complete code for resolving all disputes pertaining to execution of the decree for possession obtained by a decree-holder. Section 47 read with Order 21 rule 101 of C.P.C says that all the questions relating title are to be decided by executing court. In terms of order 21 rule 13 of C.P.C when an attachment of property is made, it should contain sufficient description of property to be attached by boundaries, numbers in record of settlement or survey. In terms of order 21 rule 35 of C.P.C, where decree is for delivery of immoveable property, the possession is to be delivered to decree holder by removing any person bound by decree; where a decree is for delivery of immoveable property if such property, is in the possession of any person bound by the decree, such person may be called upon to vacate the property in order that possession may be delivered to the person to whom it has been adjudged, or his agent; and if he refuses to do so he may be removed from the property in order to effect such delivery of possession. In terms of order 21 rule 58 whenever any objections is made to the attachment of any property in execution decree on the ground that such property is not liable to be attached, the executing court shall decide the same. As per this rule, where the court consider that claims or objections have designed to delay unnecessarily, court will not entertain the same. Upon determination of said objections so raised, shall be conclusive. 16. From bare perusal of order impugned, it is evident, that court below has dealt all the grounds taken in the petition carefully and given cogent reasons while dismissing the applications. The finding of court below is correct that decree has specific mention of property to be attached; as defendant therein/petitioner herein has been directed to remove the illegal construction of house over land measuring 1 kanal comprising khasra no. 522 min, Khewat no.13 and khata no.287 situated at Sunjwan Jammu. The finding of court below is also correct that the suit property is properly described in Suit and then in decree also as khasra no. khata no. and khewat no. are clearly mentioned which comes from the Sale Deed of decree-holder having Aks Tatima; On the contrary, the sale Deed on which judgment-debtor/petitioner herein is laying claim is having dasti-khakha which is not at all extract of Latha Massavi and so the identification of land of petitioner/judgment debtor is not known who has illegally constructed his residentia1 house over the land of decree-holder. The objection of petitioner that he was not heard and called at the time of demarcation conducted by Commissioner, Tehsildar Bahu, Naib Tehsildar, Rakh Bahu and Girdwar, has also been rightly dealt and overruled by court below on the ground that the order dated 12-9-2017 of appointment of commissioner was passed in presence of both the parties and their respective counsel and so judgment debtor/petitioner was having full knowledge of demarcation of the suit land, and his absence, if any, during demarcation by the Commissioner again point towards his negligence of dilatory tactics and nothing else. Court below has also held that keeping in view the fact that the house of the judgment-debtor is constructed on the suit land; it is quite impossible that when demarcation team reached there then he was not present there or was not having knowledge of the same. It is worthwhile to mention here that on 15.05.2017 trial court has already dismissed the plea of petitioner with regard to description of property in question. Petitioner again filed similar type of application which has been dismissed by way of impugned order. I have carefully gone through the law cited by counsel for petitioner. These are not applicable in present set of circumstances. "Now for a considerable period it is not only the judicial trend which has declined to interfere to protect unlawful possession or possession of ranked trespasser etc. but, on the other hand, judicial anxiety has been to give effective relief to the successful parties by expeditious execution of decrees in favour of the parties. Unnecessary prolongation of litigation sometimes results even in frustrating the decree itself. Such attempt on the part of the objector to frustrate a decree is a mischief which has to be prevented by due process of law and expeditious decision of such ill-founded and frivolous objections would also be in the interest of justice and within the permissible field of jurisdiction of the execution." "If frivolous objections of the present kind are permitted to unreasonably and un-necessarily prolong the delivery of possession to a decree-holder in accordance with law, it would certainly amount to putting a premium on abuse of process of law." 18. In view of above facts of the case, I do not find any jurisdictional error and illegality in order of court below. The revision petition is dismissed. It has been told that decree holder is more than eighty years old and petitioner herein is police officer, so he is not allowing the decree to be executed and protracting the process of execution by misusing the process of law by filing various applications. In view of this fact, trial court is directed to take all coercive measures as per law for executing the decree expeditiously preferably within two months.